Is your PC performing sluggish or showing various other irritating problems and you don’t how to fix this issue, then here in this article, we can help you. The computer is an essential part and it is found that with times this slowdown and it is also not possible to swap them out all the time. Since now the processor technology reached a good enough point according to regular PC users. Most of the modern programs can run fine on PC for 6-7 years or even older. Well, PC is an expensive piece of equipment, so by investing sometimes can increase the lifespan of the PC and makes it run smoothly for as long as possible. 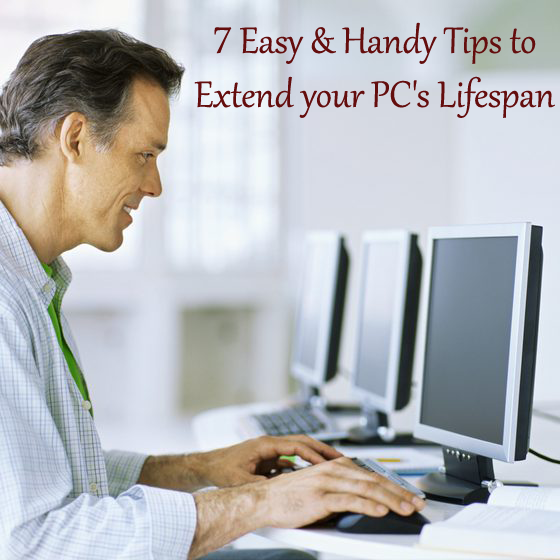 There are many great ways that help to improve the performance of PC like upgrading, installing RAM or increasing hard drive capacity, but there are also other simple ways that facilitate to extend the lifespan of your PC. 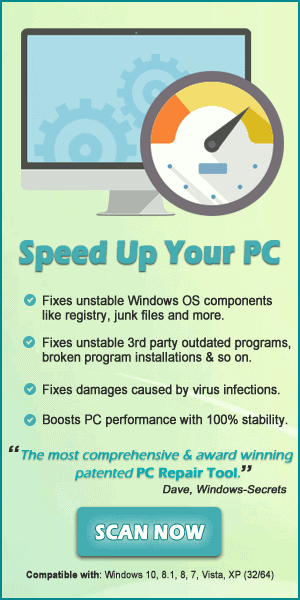 Just by following some of the preventive measures in regular intervals of times like keeping system physically clean, following some basic preventive measures, and exercising common logic in daily use can add years of life to your PC. 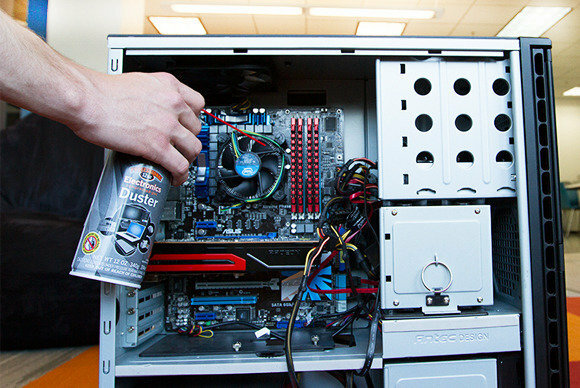 Virtually every PC becomes dirty with dust, dirt, hairballs, and other unfriendly substance and remaining it there for a long time can suffocate the hardware inside PC, can generate more heat and due to this put stress on the other components. This also randomly reduces the performance and also the components start dying at the early stage. Well, this doesn’t matter you are working in a clean room or environment; you should clean your system thoroughly every 6-12 months. This is effective to make the PC perform better like a new PC. Ventilation is very important for the PC, as heat is the another issue that is responsible for an improper shut down, crashes, and various other issues. The heat sinks and fans are helpful as they struggle a lot to keep the PC cool when the surroundings are conventional. So, make certain that your PC is having plenty of access to cool air. Also, avoid placing the PC near a heater vent or space heater and also inside a cabinet of the computer desk. The hard drive can become corrupted due to file system errors and bad sectors, unaccepted system shutdown, crashing and other issues. This corruption can damage the files and can cause system instability and BSOD error and also prevent the Windows from starting if the thing gets bad. Though, the corruption can be found and repaired automatically by running the Check Disk Tool comes along with Windows. But if you’re using Windows 7 or earlier then you need to be more concerned. As the development to error handling is introduced in Windows 8 and can fix more file and drive issues automatically. So, it is recommended to perform a complete scan with the Check Disk Tool, automatically or without automatic repair. The automatic repair of any file system errors and the scan can take up to few hours to complete the scan process and at this time you can’t use the computer. And the manual repair process is a less intensive check that typically takes just 5-10 minutes and can be performed while using the PC. To perform a Check Disk, start Computer > right-click on the desired hard drive > select Properties. And then choose the Tools tab and click the button in the Error-checking section. For the complete check in Windows 7 or earlier version, enable both options and click Start. Then a prompt will appear to schedule it for the next restart. And when you’re ready to run the verification, restart the PC and this will begin checking before booting into Windows. And for a quick check in Windows 7 or the earlier version, disable both options and click Start > as the scanning process is completed it will display the results. 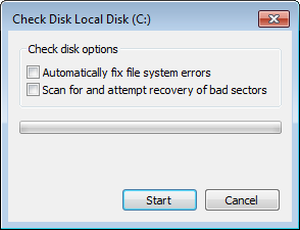 In the Windows 8 OS, as the Check Disk is started it will show out if there are known issues. If in case errors are present it will recommend a full scan and repair. And if no any issues are detected, this will still allow you to perform a quick check. Once it is performed, then whether errors are found or not, it will allow you to perform a full scan if you prefer. The full check’s results can be performed quickly before booting into Windows, but the user can recover them once in Windows, to do so: Press Windows + R keys for opening the Run dialog > type eventvwr.msc > hit Enter. After that double-click on Windows Logs > right click on Application > click Find to search for chkdsk. Defragmenting is the good way to make the PC perform better, generally, the data on the hard drives can become fragmented or spread out throughout the drive. Additionally, this slows down the drive as fragmentation causes the drive to work more. And defragmenting the drive regularly helps in reducing the extra work and improves access time for the particular file by managing free space and arranging file locations on disk. In the modern versions of Windows defragmenting your drive can be done automatically. The user of Windows XP and earlier versions needs to perform it manually. This is essential as the computers are masses of susceptible circuits and components, and power fluctuation can trouble them. The power surge or spike can out pressure on the running PC and in the extreme cases, it damage the power supply and other components of the computer. So, to fix it ensure to check your surge protector’s status as the PC’s life totally depend on it. Don’t forget about your laptops and other mobile devices; they’re sensitive to power fluctuations, too. When charging them, try to plug into a properly working surge protector as well. Please Note: Some have a status light, but on some models, it may simply mean it’s getting power. The laptops and other mobile devices are also sensitive to power fluctuations. So, while charging them, try to plug into a properly working surge protector. It is also found that in exceptional cases, power surges can flow into the computer system through telephone and cable lines. So, while shopping for a surge protector, consider one that can protect these lines as well. Remember surge protectors helps to protect up to a certain amount of surge, and anything beyond can might damage the equipment. So, it is still a good idea to unplug computers and other electronics completely during potentially high-surge times, such as lightning storms. Sudden power loss can cause the problem with the computer such as loss of unsaved documents or drive or file corruption. This issue needed to be fixed by making use of an Uninterruptible Power Supply (UPS). Mostly it is a surge protector with a built-in battery that automatically engages if home or office loses electricity, whether it’s just a sparkle or a full outage. The UPS provide power to the computer totally depends upon the battery capacity of the UPS and the watts required powering the particular equipment. Yet the smaller capacities should give at least couple of minutes of power, which let you, to save documents and properly shut down the PC. This is last but not the least, and highly essential just like the other tips are given above. Malware and spyware are malicious threats that are the danger for the PC health and even the personal or system files also. Some malware such as Ransomware can encrypt the entire system files and refuse to let go unless you paid a large ransom. This can also damage the hard drive and eat up the resources and free memory space of the PC and consequently PC start performing sluggishly. To fix this, ensure to use good security program or anti-malware to combat viruses, malware, and other threats. Scan your PC with the best professional recommended PC Repair Tool. this is a repair utility that helps to fix the PC errors, protect you from file loss, viruses, malware, spyware and many others, hardware failure, fix the problem of crashes, freezes, blue screen errors and optimize your PC for maximum performance. This is the best software to fix various other errors like Registry error, EXE error, Windows Installation error, DLL error, Application error, slow computer, and various other Windows error messages which are not fixed manually. It only fixes the errors but also keeps an eye on how PC hardware is running and detects the hardware problem so that the user can get them repaired. It is easy to use and fixes the error automatically so there is no need to contact and technical person.